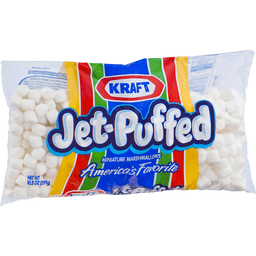 Kraft Jet-Puffed Miniature Marshmallows America's favorite. For more great recipe ideas visit kraftjetpuffed.com. For more great Jet-Puffed recipes like s'mores and frozen rocky road cups visit www.kraftjetpuffed.com. Visit us at: kraftfoods.com or call weekdays: 1-800-431-1001. Please have package available. EKraft Foods. Kraft Foods. We're 100 years behind the times. Unsliced for better flavor. www.panogold.com. We can all make a difference (Even the twist tie that we used on this package is certified as completely biodegradable)! Plastic bags are recycled into many different products. Most plastic bags are recycled into composite decking but can also be reprocessed into post consumer resin which can be recycled into a variety of products such as new bags, pallets, containers and crates. Go green. Please recycle me with your grocery store bags. No salt added. Not a sodium free food. 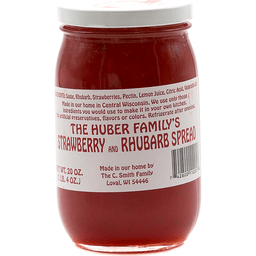 Visit us at: www.faribaultfoods.com. Pease direct any concerns to our Consumer Affairs Department and include the code on the can end with your communication. Please recycle. Hearty homestyle bread. Hearty homestyle taste. Great for sandwiches. Good country flavor. loaves4learning.com. 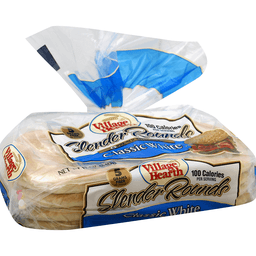 Nutrition Matters: Based On a 1 Slice Serving: 80 calories (4% DV); 1 g total fat (2% DV); 0 g sat fat (0% DV); 150 mg sodium (6% DV); 2 g sugars (The percentage for sugar is not listed as the % daily value has not been established); 1 g fiber (4% DV). Pan O-Gold is committed to baking products that are great tasting and nutritious. This nutrition guide is designed to help you make informed choices for you and your family. The nutrients listed and the values that they represent are based on a 2,000 calorie diet. No high fructose corn syrup. Earn money for school. 1. 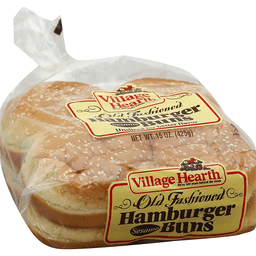 Buy Country Heart and Village Heart products. 2. Clip and save the UPC Proof of Purchase. Drop the UPCs into your school's collection box. 4. A check is mailed to your school. For more information, visit loaves4learning.com. www.panogold.com. 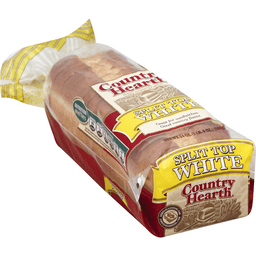 The soft texture and sumptuous flavor of our classic Split Top White Bread are sure the to appeal to the whole family, children and adults alike! The bakers of Country Hearth and Village Hearth are proud to support local K-12 education with Loaves 4 Learning. Scan this QR code with your smartphone to learn more about the program at our website, loaves4learning.com. We can all make a difference (Even the twist tie that we used on this package is certified as completely biodegradable)! Plastic bags are recycled into many different products. Most plastic bags are recycled into composite decking but can also be reprocessed into post consumer resin which can be recycled into a variety of products such as new bags, pallets, containers and crates. Go Green: Please recycle me with your grocery store bags. Everybody's flavor favorite. Triple pack. Three individual packs for extra freshness. Three 7 oz. Fresh sealed packages. 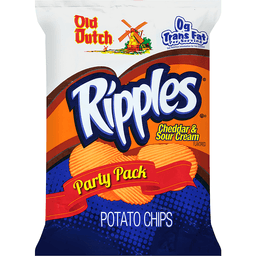 When the Old Dutch Potato Chip Company was founded, the commitment was clear. 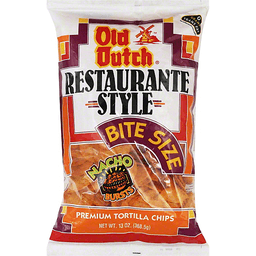 Use only the finest ingredients and produce the best-tasting potato chips possible. Through the years we've remained faithful to the commitment. 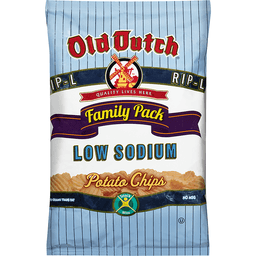 People throughout the upper Midwest trust Old Dutch to consistently provide fresh, crisp, and truly delicious potato chips. 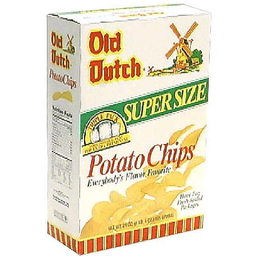 Old Dutch Potato Chips are special. We select only the best potatoes and cook them in pure vegetable oil. 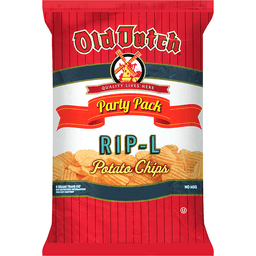 Then the chips are lightly salted to create the unique, golden potato chips that everyone enjoys so much. 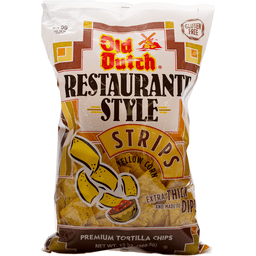 Our chips are then carefully packaged to ensure freshness, and delivered to your favorite store. Good source of fiber. 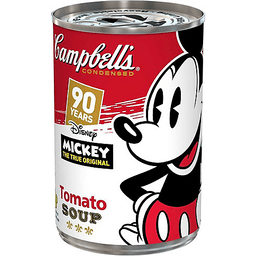 Per 1/2 Cup: 110 calories; 0 g sat fat (0% DV); 130 mg sodium (6% DV); 1 g total sugars. Gluten free. For recipes, visit www.essentialeveryday.com. 100% Quality Guaranteed: Like it or let us make it right. Thats our quality promise. 877-932-7948; essentialeveryday.com. Steel. Please recycle. Dr Wt: 7.05 oz (200 g). Natural. A tradition of quality since 1912. 100 years of quality in America. Gluten free. Baby Corn: Our products are selected from the best quality raw materials in order to achieve the fresh and hygienic products of an international standards. We also provide technical assistance to our affiliated plants in the oversea countries and enjoy the confidence of our customers for the products high quality. www.geishabrand.com. Product of Thailand. 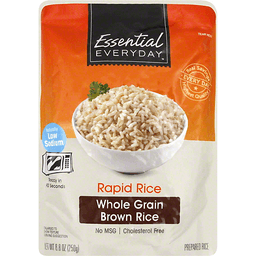 Enriched long grain rice. Real savings, highest quality everyday. Ready in 5 minutes. Great products at a price you'll love - that's Essential Everyday. Our goal is to provide the products your family wants, at a substantial savings versus comparable brands. We're so confident that you'll love Essential Everyday, we stand behind our products with a 100% satisfaction guarantee. For additional recipes, visit www.essentialeveryday.com. If you're not completely satisfied with this product, please contact us at www.essentialeveryday.com or 1-877-932-7948. Product of USA. 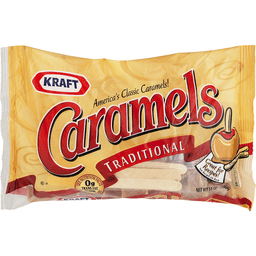 Kraft Caramels Traditional Caramels. America's classic caramels!.. See nutrition facts for saturated fat. 0g trans fat per serving. Great for recipes! 5 free sticks inside. Visit us at: kraftfoods.com. 1-800-431-1001. Please have package available. Kraft Foods. ©Kraft Foods. Sweet & smooth. 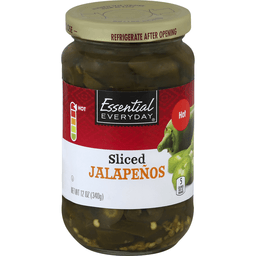 Enjoy the big, bold flavor of Western Original on your salad, burger, or favorite veggies. 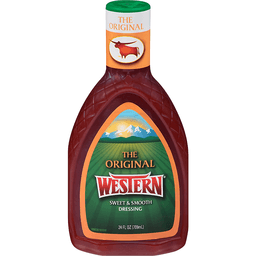 With its unique and tangy kick, only Western delivers the sweet and smooth blend of tomatoes, onion and garlic flavors you know and love. Lasso a bottle today and visit www.westerndressings.com for great recipe ideas! Questions or comments? Please call 1-800-343-9024. Crisp & refreshing. Contains quinine. 130 calories per 12 fl oz serving. Caffeine free. Very low sodium. Contact us at 1-877-932-7948, or www.supervalu-ourownbrands.com. Please recycle. All Natural. Minimally processed. No artificial ingredients. No preservatives. Pork used never administered antibiotics. Vegetarian fed. US inspected and passed by Department of Agriculture. Italy's No. 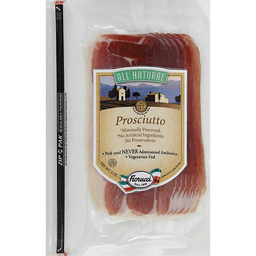 1 brand of Italian specialty meats. For over 150 years, we have used long cherished recipes to create the most authentic Italian style delicacies available. Buon Appetito from my family to yours - F. Fiorucci. Made with non GMO ingredients. Healthy made delicious. 3 g fiber. 7 g protein. No: trans fat; cholesterol; high fructose corn syrup. Bubba sez - Eat lots of bagels. 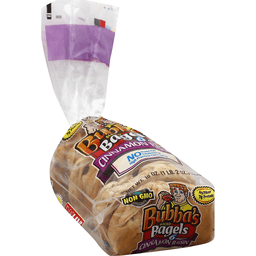 At Bubba's Bakery our goal is to make healthy delicious bagels for you and your family to enjoy. We start with the finest natural ingredients using a traditional process to make all of our bagels nutritious and full of flavor. We stand uncompromising in our commitment to bake the very best bagels. Healthy made delicious! From our family to yours. Enjoy some today! Fresh & delicious or your money back! This package is environmentally responsible. Thank you for choosing another healthy made delicious product from Papa Pita! www.papapita.com. To eat well is to live well. American Heart Association Certified: Meets criteria for heart-healthy food. 100 calories per 3 oz. Wild caught/dolphin safe. 100% quality guaranteed. Like it or let us make it right. That's our quality promise. 877-932-7948. supervaluprivatebrands.com. Steel. Please recycle. Product of Thailand. Kellogg's. Calories 120 Per Serving, Total Fat 2g (3%), Sodium 180mg (8%), Sugars 9g Per Serving, Vitamin C (35%), Iron (45%). Each serving provides these percentages of the GDA based on a 2,000 calorie diet. See side panel for nutrition information. Special K. chocolatey delight. naturally & artificially flavored. crunchy rice & wheat flakes with chocolatey pieces. NET WT. 13.4 OZ. (380g). ON your mark. A good breakfast can help you: - get going. - manage your weight. - stay on task at work. - concentrate. GET set. Starting with breakfast, keep track of what you eat and how much you exercise throughout your day. It's a simple way to focus on your progress, set goals, and be inspired. GO!!! Get going with 30 minutes of moderate activity per day... and have fun doing it! Walk the dog, do some yard work, take the stairs. It all counts! Learn how to live a healthy lifestyle. MyPyramid.gov. STEPS TO A HEALTHIER you. Visit www.mypyramid.gov. Kellogg's Special K. Chocolatey 13.4 oz. Look! We're on the Web. http://www.specialk.com For more information about GDAs, visit www.kelloggsnutrition.com. have an evening snack... Indulge. ...snack on track. Looking for a chocolatey nighttime snack that won't undo your whole day One serving of new Kellogg's Special K Chocolatey Delight cereal is 120 calories, so you can stay on track while still indulging in the rich, chocolatey taste you love. Research shows that when you replace your higher-calorie nighttime snack with a lower-calorie snack like a serving of Kellogg's Special K Chocolatey Delight cereal, you could lose weight. So, what's the difference between a nighttime snack and a nighttime snack you won't regret in the morning A serving of Kellogg's Special K Chocolatey Delight cereal and 1/2 cup of fat free milk contains 160 calories, compared to 344 calories in an average evening snack eaten after 6 p.m., according to NHANES, 1999-2002. Weight loss may vary. You can find Special K Protein Products in the Diet & Nutrition Aisle. Exchange: 1 1/2 Carbohydrates. The dietary exchanges are based on the Choose Your Foods: Exchange Lists for Diabetes, 2008 by American Dietetic Association and American Diabetes Association. Visit Kelloggs.com for information on promotions, recipes, products, and FAQs. To check your offer order status go to Kelloggs.com/specialorders. Phone us at 1-800-962-1413. Write to P.O. Box CAMB, Battle Creek, MI 49016-1986. Provide production code on package. 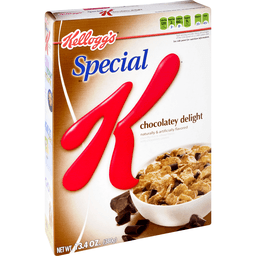 Kellogg's Special K. Chocolatey Delight 13.4 oz. UPC Proof of Purchase. 100% Recycled Paperboard. Already cooked to perfection! A cholesterol-free, fat-free, gluten-free food. Ready to eat. 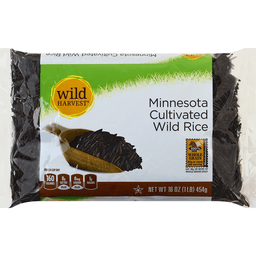 100% wild rice - Cooked for your convenience. Perfect Results Every Time: Rigid quality control assures a consistent texture and flavor of the finest quality. No Waste: Guaranteed yield. Affordable Dining Elegance: Gourmet flavor & excellent eye appeal. Versatile. 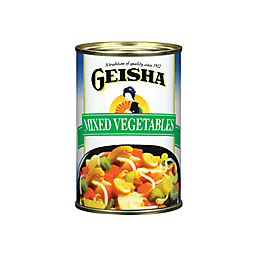 Serving Suggestions: Add to potatoes or white rice as a side dish. 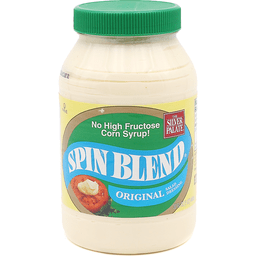 Add to your favorite recipes for: soups, casseroles, stir fry, stuffings, muffin & pancake mixes. Create great tasting: salads, appetizers, desserts. Microwavable. 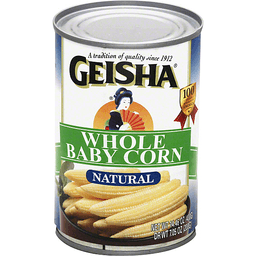 Nature's only natural cereal grain. Our love for wild rice began over 80 years ago after our grandfather, Peter Ratuski, immigrated to Canada from the Ukraine at a very young age, alone with only the clothes on his back and a loaf of bread under his arm. Peter's entrepreneurial endeavors in the grocery business allowed his introduction to the most valuable and sought after naturally grown cereal grain in North America, wild rice. Peter's youngest sons, Ben and Bill, faithfully and diligently carried on their father's legacy ensuring the sustainability of this unique family tradition for the third and fourth generations. 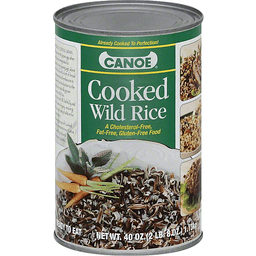 Thank you for purchasing this can of Cooked Wild Rice, one of the most convenient in our Canoe family of products - carefully produced with our guarantee of superior quality. www.canoewildrice.com. Please recycle. Salads. Soups. Burgers. Product of USA. A gluten free food. Per 1 oz drained: 5 calorie; 0 g sat fat (0% DV); 310 mg sodium (13% DV); 1 g total sugars. Non-BPA lining (Lid lining produced without the Intentional addition of BPA). 100% Quality Guaranteed: Like it or let us make it right. That's our quality promise. 877-932-7948. www.essentialeveryday.com. Packed in the USA. Product of Mexico. Restaurante style. 0 grams trans fat. 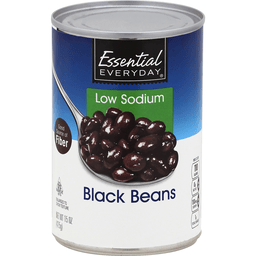 See nutrition facts for sodium content. 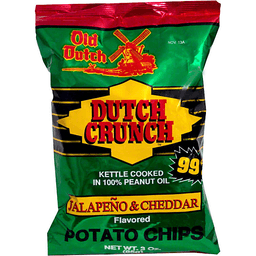 The ultimate dip chip! For a burst of nacho follow the leader! Bite size! Nacho nacho nacho! Yummy! Old Dutch leads the way! Good source of fiber. 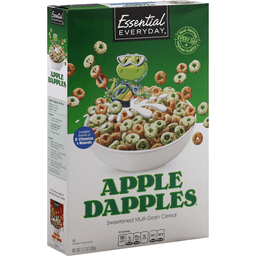 Per 1/2 Cup: 120 calories; 0 g sat fat (1% DV); 390 mg sodium (17% DV); 1 g total sugars. Gluten free. For recipes, visit www.essentialeveryday.com. 100% Quality Guaranteed: Like it or let us make it right. Thats our quality promise. 877-932-7948; essentialeveryday.com. Steel. Please recycle. 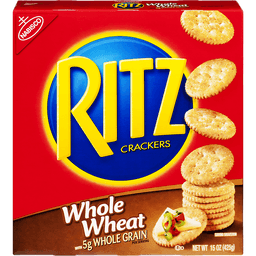 Nabisco Ritz Whole Wheat Crackers. Whole wheat with 5g whole grain per serving. Low saturated fat. No cholesterol. Mypyramid.gov steps to a healthier you. Nutritionists recommend: Eating at least three one-ounce equivalents of whole grain products per day (about 16g whole grain per serving, or at least 48g per day). 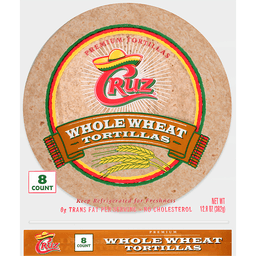 One serving of Ritz whole wheat crackers provides 5g whole grain, approximately 10% of the minimum daily amount nutritionists recommend. 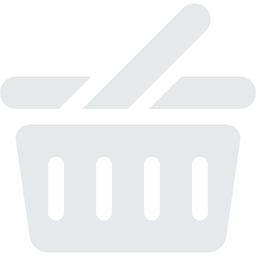 Log on to mypyramid.gov to help you make smart food choices and get the most nutrition out of your calories. Also try: Ritz crackers roasted vegetable with real vegetables. Carton made from 100% recycled paperboard. Minimum 35% post-consumer content. Visit us at: ritzcrackers.com or call weekdays: 1-800-622-4726. Please have package available. Kraft Foods. 5 grams fiber per serving. 100 calories per serving. We can all make a difference! Plastic bags are recycled into many different products. Most plastic bags are recycled into composite decking but can also be reprocessed into post consumer resin which can be recycled into a variety of products such as new bags, pallets, containers and crates. Go green. Please recycle me with your grocery store bags. 5 grams fiber. www.panogold.com. Approximately 52 - 1/2 oz bite-sized meatballs. Authentic recipe. Made with bread crumbs. Fully cooked. Real families are busy, unpredictable and, well - perfectly imperfect. That's why we make Delicious and Wholesome snacks that you can make in a hurry without missing a moment! Oven roasted. Perfect as an appetizer. Real life good. This product is packaged and sold by weight. US inspected and passed by Department of Agriculture Est. 5336. 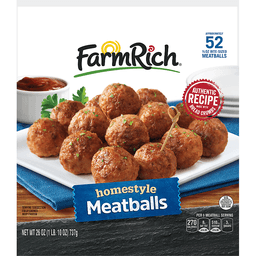 Per 6 Meatball Serving: 270 calories; 8 g sat fat (41% DV); 510 mg sodium (21% DV); 3 g sugars. Visit us at Like. Share. Enjoy! Facebook. Twitter. Pinterest. Instagram. Prepared rice. Real savings. Highest quality. Every day. No MSG. Cholesterol free. Naturally low sodium. Ready in 90 seconds. Great products at a price you'll love - thats Essential Everyday. Our goal is to provide the products your family wants, at a substantial savings versus comparable brands. We're so confident that you'll love Essential Everyday, we stand behind our products with a 100% satisfaction guarantee. www.essentialeveryday.com. Product of USA. Kettle cooked in 100% Peanut oil. Made with non GMO ingredients. Healthy made delicious. 4 g fiber. 7 g protein. No: trans fat; cholesterol; high fructose corn syrup. Bubba sez - Eat lots of bagels. 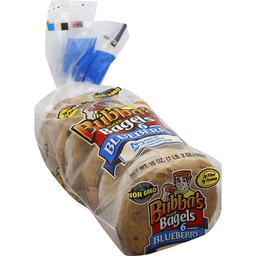 At Bubba's Bakery our goal is to make healthy delicious bagels for you and your family to enjoy. We start with the finest natural ingredients using a traditional process to make all of our bagels nutritious and full of flavor. We stand uncompromising in our commitment to bake the very best bagels. Healthy made delicious! From our family to yours. Enjoy some today! Fresh & delicious or your money back! This package is environmentally responsible. Thank you for choosing another healthy made delicious product from Papa Pita! www.papapita.com. To eat well is to live well. American Heart Association Certified: Meets criteria for heart-healthy food. 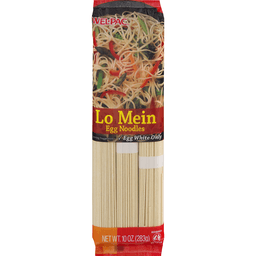 Wel-Pac® Lo Mein Egg Noodles. Egg white only. Cashews, almonds, pecans, Brazil nuts & macadamias. Made with pure sea salt. Orville Redenbacher's® Gourmet Popping Corn Original. 100% Natural. Gluten-Free. 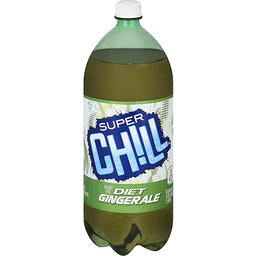 Per 3 Tbsp unpopped: 120 Calories. 0g Sat. fat, 0% DV. 0mg Sodium, 0% DV. 0g Sugars. Net Wt 45 oz (2 lb 13 oz) 1.27 kg. Ways to pop: Stovetop. Microwave. Air popper. Electric Popper. For microwave, hot air, or electric poppers, follow manufacturer's instructions. 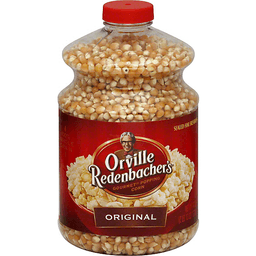 We also recommend Orville Redenbacher's® popping & topping oil for a rich, buttery taste. Non GMO Project Verified. nongmoproject.org. Questions or Comments, Call Mon. - Fri., 9:00 AM - 7:00 PM (CST), 1-800-243-0303 (except national holidays) or visit us at www.orville.com. Calorie free. 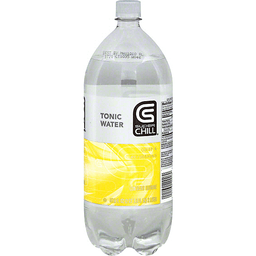 0 calories per 12 fl oz serving. Very low sodium. Sugar free. Caffeine free. Contact us at 1-877-932-7948, or www.supervalu-ourownbrands.com. Please recycle. 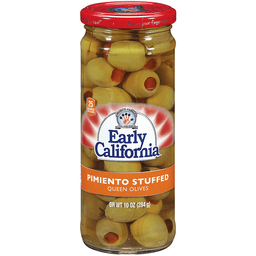 25 calories per 2 olives. Glass recycles. Fun at your fingertips! www.olives.com. Guaranteed quality. Please provide code from jar with product correspondence. Call toll free 866-9-OLIVES weekdays 8-5 PT. Product of Spain. Naturally flavored prune cocktail with added ingredients. Delicious light taste. Stay fit on the inside with Sunsweet Amazin Prune Light. Why do we call it Amazin? It's made with delicious ripe prunes, grown by Sunsweet's family of farmers. And the best news? 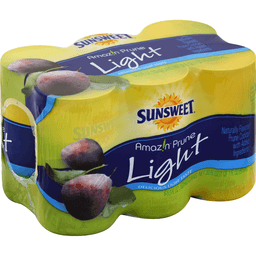 Amazin Prune Light has 40% fewer calories and less sugar than regular Sunsweet prune juice. Enjoy the healthy possibilities with Sunsweet Amazin Prune Light. 49% juice. For questions or comments call: 1-800-417-2253. For recipes and healthy tips, visit us online. Pasteurized. 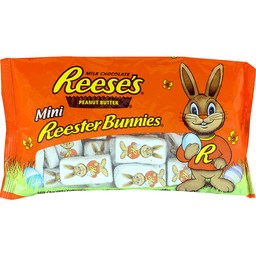 Milk chocolate covered peanut butter bunnies. At Easter time, there are bunnies everywhere. But there's only one Reester Bunny character! Always the best in the basket - because he is made of delicious milk chocolate. and filled with Reese's Peanut Butter. In a mini size that's egg-cellent for all your springtime fun! Celebrate with Hershey's. Go to: www.Celebratewithhersheys.com to discover fun basket making ideas, basket fillers, egg decorating tips, and many more surprises! Questions or comments about this product, call toll-free weekdays 9-4 ET 1-800-468-1714. Visit us at www.Celebratewithhersheys.com. USDA organic. Made with non GMO ingredients. 12 grams whole grain. 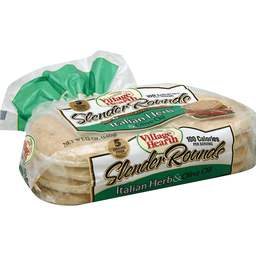 5 grams fiber per slice. To eat well is to live well. At Papa's Organic we bake fresh breads that are as healthy and nutritious for you as they are delicious. We start with the ingredients - taking special care to select the very finest wholesome ingredients. Then our master bakers blend them together using our special recipe and slowly bake them to perfection for an incredible flavor your will enjoy in every bite. Papa's Organic from our family to yours! To eat well is to live well. Enjoy some today. No high fructose corn syrup. No animal products. No artificial preservatives. No artificial ingredients. www.papapita.com. Certified organic by: Organic Certifiers. Fresh & delicious or your money back! Please recycle me! 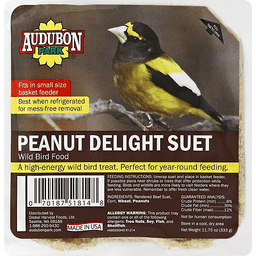 A high-energy wild bird treat. Perfect for year-round feeding. Fits in small size basket feeder. audubonpark.com. Made in USA. Free from: artificial preservatives. USDA organic. 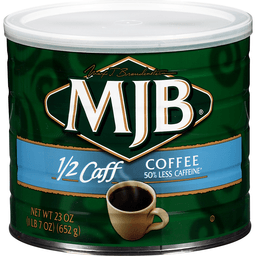 Per 1/2 Cup: 60 calories; 0 g sat fat (0% DV); 200 mg sodium (8% DV); 7 g sugars. Certified Organic: Quality Assurance International. 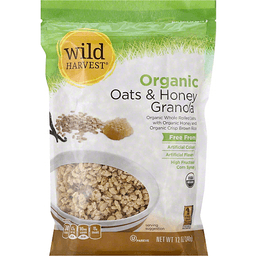 Certified organic by Quality Assurance International, Inc. Supervalu Quality Guaranteed: We're committed to your satisfaction and guarantee the quality of this product. Contact us at 1-877-932-7948, or www.supervalu-ourownbrands.com. Please have package available. Gluten free. Please recycle this package. Product of USA. Ahoy, Mateys! Chocolatey morsels and treasures are buried ahead! 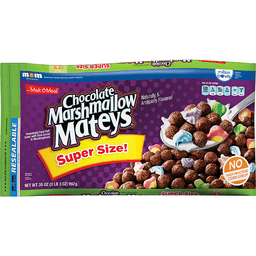 Chocolate Marshmallow Mateys® cereal is choc-full of real cocoa. With added marshmallow treasures inside, you will have an adventure getting to the bottom of your bowl! Congratulations!You've got breakfast in the bag. Malt-O-Meal has been creating delicious, high-quality cereals for nearly a century. That's a pretty big deal and so is the bag you're holding. 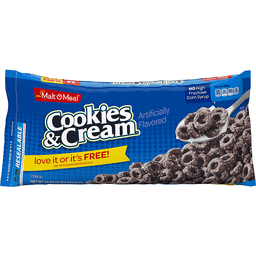 Bigger bags mean fewer trips to the store, and that saves you time and money.There aren't many sure things in life, but you can always count on Malt-O-Meal for...Incredible Taste at an Everyday Low Price. Love it or it's free! Put your taste buds to the test! We're sure you will love this product. But if you're not completely satisfied, we'll refund or replace your purchase. Warning: The contents of this package are delicious and easy on your wallet! ZIP-PAK® Resealable Packaging Super Size Love It or It's Free! 40 grams of whole grain per serving. Made with non GMO ingredients. Excellent Source: 8 grams per serving of fiber. Healthy made delicious. All natural. To eat is to live well. No: trans fat; cholesterol; high fructose corn syrup. American Heart Association Certified: Meets criteria for heart-healthy food. Discover the pleasures of the Greek pita! Delicious homemade pizza creations, warm and soft tacos, fresh and healthy salads to-go! Make it family fun time - for breakfast fill them with scrambled eggs & salsa, hot lunches with ham & Swiss melts or make your own secret recipe pita sub. Delicious dinner kabobs from the grill, super hamburgers and hot dog favorites! Half the fun of the Greek pita is giving them a spin of your own. 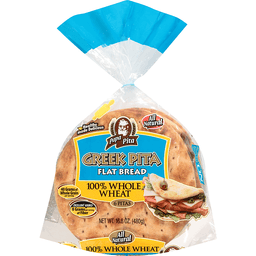 Greek pitas are flexible and taste best when heated before serving. Healthy made delicious! From our family to yours. Enjoy some today! Visit us at www.papapita.com for even more delicious recipe ideas. Fresh & delicious or your money back! This package is environmentally responsible. 5 grams per serving. 100 calories per serving. 5 grams fiber. www.panogold.com. Naturally smoked. US inspected and passed by Department of Agriculture. Since 1969. 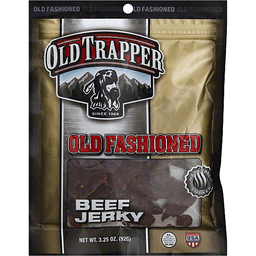 The Old Trapper legend began with my original old fashioned beef jerky. I season lean cuts of real steak, add brown sugar for just the right kind of sweetness, and smoke them to perfection using real wood in my smokehouses. The result is tender, never tough jerky that will be the best you've ever tasted. - T.O. Trapper, The Old Trapper. Visit us online at oldtrapper.com. Made in the USA. 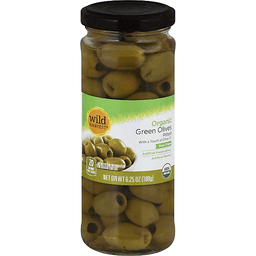 30 calories per 2 olives. If you're not completely satisfied with this product, please contact us at www.essentialeveryday.com or 1-877-932-7948. Product of Greece. Healthy made delicious. 48 g whole grains. No trans fat cholesterol. High fructose corn syrup. 8 grams fiber. Made with non GMO ingredients. Bubba Sez eat lots of bagels. 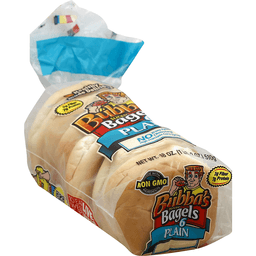 At Bubba's Bakery our goal is to make healthy delicious bagels for you and your family to enjoy. 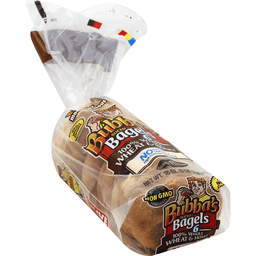 We start with the finest natural ingredients using a traditional process to make all of our bagels nutritious and full of flavor. We stand uncompromising in our commitment to bake the very best bagels. Healthy made delicious! From our family to yours. Enjoy some today! Fresh & delicious or your money back! This package is environmentally responsible. Papa Pita. Thank you for choosing another Healthy Made Delicious product from Papa Pita! www.papapita.com. To eat well is to live well. Healthy made delicious. American Heart Association Certified: Meets criteria for heart-healthy food. 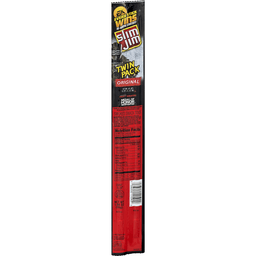 Slim Jim® Original Smoked Snack Stick Twin Pack. Giant Slim®. U.S. Inspected and passed by Department of Agriculture. 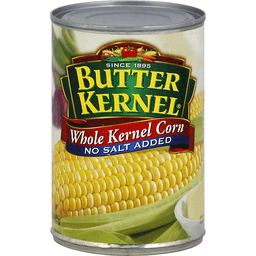 ConAgra Foods®. Food you love. Questions, comments or nutrition information, call 1-800-242-6200. www.slimjim.com. Since 1881. Uncommon quality from people who care. 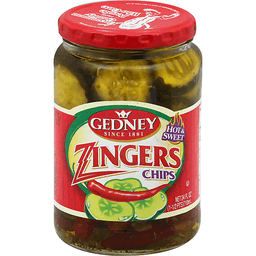 www.gedneypickle.com. 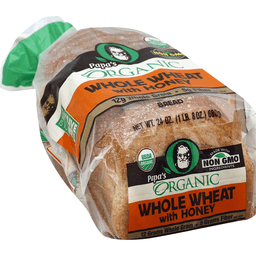 100% Whole Grain: 45 g or more per serving. Eat 48 g or more of whole grains daily. WholeGrainsCouncil.org. 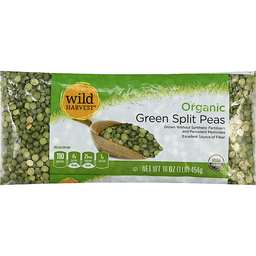 Per 1/4 Cup Dry: 160 calories; 0 g sat fat (0% DV); 0 mg sodium (0% DV); 1 g sugars. Gluten free. Supervalu quality guaranteed. Contact us at 1-877-932-7948, or www.supervalu-ourownbrands.com. To learn more about Wild Harvest products, including our full line of organic products, and for more recipes, please visit www.wildharvestorganic.com. With a touch of olive oil. Free From: artificial flavors; artificial colors. USDA organic. 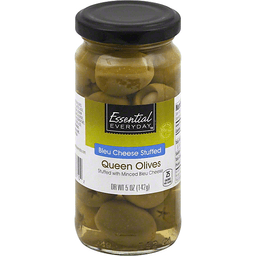 20 calories per 3 olives. See nutrition information for sodium content. Certified organic by Bio Hellas S.A. Certification & inspection organization of organic products GR-Bio-03. Gluten free. mywildharvest.com. Product of Greece. 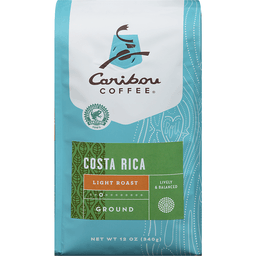 Rainforest Alliance Certified 100%. Lively & balanced. Enjoy the coffeehouse taste. Even in your pajamas. At Caribou Coffee, we've always wanted to give you a way to bring a piece of our coffeehouses into the world. And while we'd prefer you don't take any of our decor off the wall or snag an espresso machine, our famous coffee beans have been granted permission to explore the world at their own leisure. So take 'em home, take 'em to the cabin, take 'em hitchhiking across the country if that's your thing. The important thing is not where you drink our coffee - it's what it inspires you to do. Life is short, stay awake for it. Freshness & enjoyment 100% guaranteed. Hand crafted. 1% world's top beans. Small batch roasting. If this coffee is not exceptionally fresh and enjoyable, well gladly replace it. 100% arabica coffee. Facebook. Instagram. Pinterest. Like bou. Follow Bou. Pin Bou. Love Bou. Bou does house calls order online at CaribouCoffee.com. 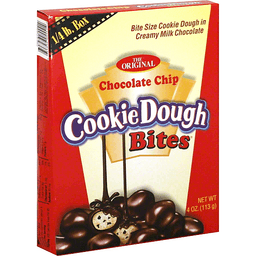 Bite size cookie dough in creamy milk chocolate. The original. 1/4 lb box. www.candyasap.com. Per 1 Cup: 140 calories; 0 g sat fat (0% DV); 230 mg sodium (10% DV); 15 g total sugars; 2.7 mg iron (15% DV). 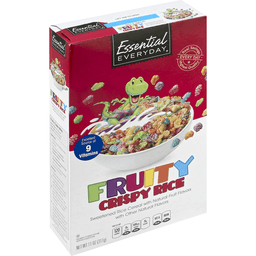 Sweetened rice cereal with natural & artificial fruit flavors. Good source of 9 vitamins & minerals. Great products at a price you'll love - that's Essential Everyday. Our goal is to provide the products your family wants, at a substantial savings versus comparable brands. We're so confident that you'll love Essential Everyday, we stand behind our products with a 100% satisfaction guarantee. 100% quality guaranteed. Like it or let us make it right. That's our quality promise. essentialeveryday.com. Grill master's secret blend. 1st place. 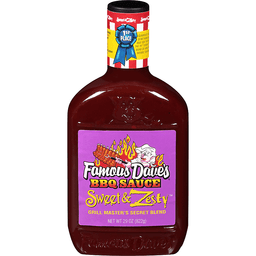 Generously slather my grill master's secret blend over ribs, chicken, pork, or beef for that authentic right out of the pit flavor. - Famous Dave. Recipes and Product Info at: www.famousbbq.com. This sauce is a tasty blend of hand picked herbs, spices and natural flavors. - Famous Dave. Recipes and product info at: www.famousbbq.com. Sauce Awards (Rich & Sassy): Greatest Sauce in America - Great American Burnoff Cleveland, Ohio. 1st Place Winner: Mild Tomato Category - American Royal Barbeque Sauce Contest Kansas City, Missouri. Incredibly soft & chewy. Artificially flavored candy. Why did the Wallaby cross the road? To bring you the most incredible soft and chewy Australian Style Gourmet Liquorice that's why! Thick, delicious chucks of gourmet liquorice made in the traditional ways like in the land down under, Wiley Wallaby Australian Style Gourmet liquorice has it all, it's soft, it's chewy and full of flavor. Simply put, it's the ultimate gourmet liquorice experience! With a variety of wonderful flavors to choose from, Wiley Wallaby Australian Style Gourmet Liquorice has a taste everyone will enjoy! Hop to it! 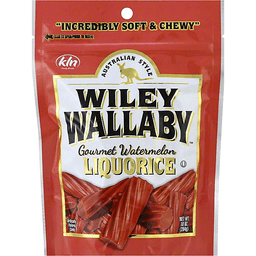 Give Wiley Wallaby Australian Style Gourmet Liquorice a try! www.kennyscandy.com. www.wileywallaby.com. Produced with genetic engineering. Stuffed with minced bleu cheese. 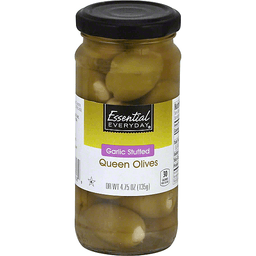 25 calories per 2 olives. Real savings - highest quality - everyday. When cooled, naturally occurring oil may solidify, causing a slightly cloudy appearance. Contact us at www.essentialeveryday.com. Product of Spain. Weight after straining: 7.05 oz (200 gr). 9 calories per serving. Noodles shape. Sugar free. Gluten free. Fat free. Cholesterol free. Contains fiber. All natural. GMO free. Pre-cooked. Ready in 2 minutes. 100% natural. What is Konjac? What is Konjac is a plant native to Japan and has been used there for hundreds of years. We harvest the Konjac roots to create noodles in different shapes. Konjac contains fiber and absorbs water to help you feel full. 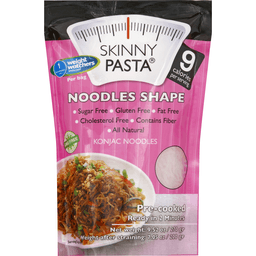 Skinny Pasta's Noodles Shape Konjac Noodles are made without GMOs and additives so your family can enjoy their favorite noodles dishes without sacrificing taste or flavor. Skinny Pastas Noodles Shape Konjac Noodles are a great alternative to noodles. A smart complement to meals or alternative in family favorite recipes, noodles shaped Konjac Noodles are a versatile, convenient choice which are precooked and ready to heat in the microwave for 2 minutes on high, Skinny Pasta's Noodles Shape Konjac Noodles are made from our proprietary formula and are odor free, available in stores and online. Try our other varieties: couscous; spaghetti; lasagna; rice; fettuccine. For recipe ideas and to learn more visit: www.skinnypastausa.com. 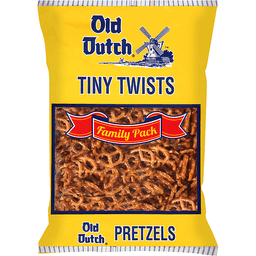 1 SmartPoints value per bag. Weight Watchers endorsed. This product was prepared to fit the Weight Watchers program and is useful for weight control when used strictly in accordance with the Weight Watchers food plans. Weightwatchers: Weight Watchers SmartPoints plan! A simple, smart approach to weight loss. Learn more at weightwatchers.com. According to the FDA regulations, 10 calories rounded from 9. Product of PRC. Sweetened multigrain ceral. Naturally flavored. 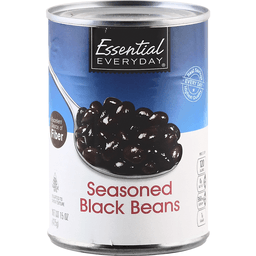 Per 1-1/3 Cup: 150 calories; 0 g sat fat (0% DV); 180 mg sodium (8% DV); 17 g total sugars; 5.4 mg iron (30% DV). Good source of 7 vitamins & minerals. No artificial flavors. Great Products at a Price You'll Love - that's Essential Everyday. Our goal is to provide the products your family wants, at a substantial savings versus comparable brands. We're so confident that you'll love Essential Everyday, we stand behind our products with a 100% satisfaction guarantee. 100% Quality Guaranteed: Like it or let us make it right. essentialeveryday.com. 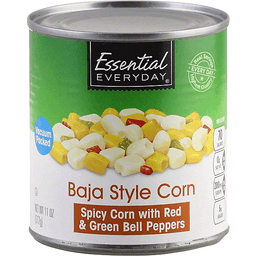 Spicy corn with red & green bell peppers. Vacuum packed. Real savings. Highest quality. Every day. 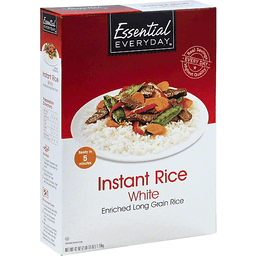 Per 1/2 Cup: 70 calories; 0 g sat fat (0% DV); 200 mg sodium (8% DV); 6 g sugars. Contact us at www.essentialeveryday.com or 1-877-932-7948. For recipes, visit www.essentialeveryday.com. Steel. Please recycle. 0 grams trans fat. See nutrition facts for saturated fat info. Always fresh - guaranteed. www.gurleysfoods.com. Completely natural, no additives or preservatives used. Any questions, comments, favorite recipes? We would love to hear from you. 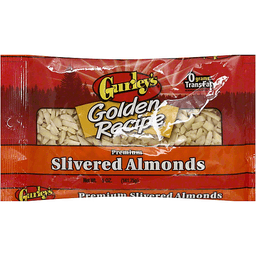 Visit us at our website or write to us at: Gurley's Foods, Box 88, Willmar, MN 56201-0088. Product of USA. 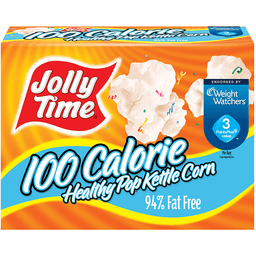 Jolly Time® 100 Calorie Healthy Pop Kettle Corn Mini Bags. Per bag. 5 Cups popped pop corn. Kinda Sweet... Kinda Salty®. Microwave pop corn. Gluten free. 100% Whole grain. Natural and artificial flavors. 3 SmartPoints Value™. Weight watchers endorsed. Five generations of the Smith family have been making Jolly Time® pop corn Since 1914, and we're still independent and family-owned today. What's the secret to a century of success We listen to our customers, and we'd love to hear from you. Pop over to Facebook or Twitter, or pop in at jollytime.com; call 712-239-1232 M-F 8am to 5pm CST or write to PO Box 178, Sioux City, Iowa 51102 to tell us what you think about Jolly time microwave pop corn. We're listening. Share the family fun. Garry Smith & Carlton Smith. Weight Watchers for services is the registered trademark of Weight Watchers International, Inc. SmartPoints is the trademark of Weight Watchers International, Inc. Trademarks are used with permission by American pop corn company. 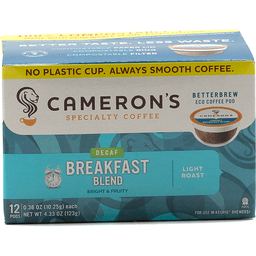 Carton made from 100% Recycled paperboard minimum 35% Post-consumer content. Limited warranty to consumers. Good housekeeping Since 1909. Replacement or refund if defective. Partially produced with genetic engineering. Gluten free. Jolly time... a tasty way to add whole grain to your life. 5 Cups of Healthy Pop® kettle corn = one serving of whole grain USDA dietary guidelines recommend eating 3 servings of whole grains each day. Printed in U.S.A. ©2016 APCC. Organic whole rolled oats with organic honey and organic crisp brown rice. Free From: artificial colors; artificial flavors; high fructose corn syrup. USDA organic. 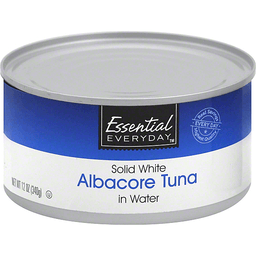 Per 1/2 Cup: 240 calories; 0.5 g sat fat (3% DV); 80 mg sodium (3% DV); 13 g sugars. 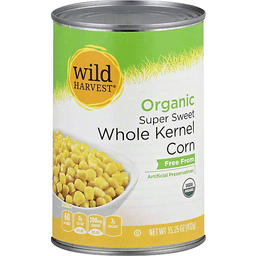 Whole Grain: 28 g or more per serving. Eat 48 g or more of whole grains daily. WholeGrainsCouncil.org. Live free with Wild Harvest. Wild Harvest is a complete selection of products that are free from more than 100 artificial preservatives, flavors, colors, sweeteners and additional undesirable ingredients. Our products are pure and simple because they're flavored and colored by nature and created to support your family's healthy and active lifestyle. People of all ages love the taste of Wild Harvest foods. To learn more about Wild Harvest products including our full line of organic products, and for recipes, please visit www.mywildharvest.com. Supervalu Quality Guaranteed: We're committed to your satisfaction and guarantee the quality of this product. Contact us at 1-877-932-7948, or www.supervalu-ourownbrands.com. Please have package available. Certified Organic: Quality Assurance International. Certified organic by Quality Assurance International, Inc. Product of USA. Pasteurized. Gluten free. Free from: artificial colors; artificial flavors; artificial preservatives. USDA organic. 0 calories per 1 tbsp. Certified organic by Oregon Tilth. OTCO. Vegan. Contact us at 1-877-932-7948, or www.supervalu-ourownbrands.com. Live Free with Wild Harvest: Wild Harvest is a complete selection of products that are free from more than 100 artificial preservatives, flavors, colors, sweeteners and additional undesirable ingredients. Our products are pure and simple because they're flavored and colored by nature and created to support your family's health and active lifestyle. People of all ages love the taste of Wild Harvest foods. To learn more about Wild Harvest products, including our full line of organic products, and for recipes, please visit www.mywildharvest.com. Product of USA. Grown without synthetic fertilizers and persistent pesticides. Excellent source of fiber. 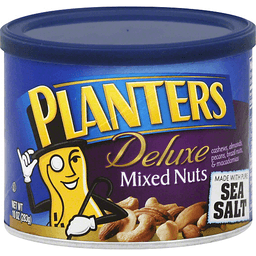 Per 1/4 Cup Dry: 110 calories; 0 g sat fat (0% DV); 25 mg sodium (1% DV); 1 g sugars. USDA organic. To learn more about Wild Harvest products, including our full line of organic products and for more recipes, please visit www.wildharvestorganic.com. Certified organic by California Certified Organic Farmers. Gluten free. Ezy Dose is the leader in innovative, easy-to-use medication management products. 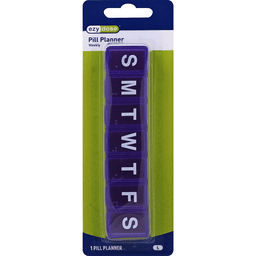 This weekly Ezy Dose Pill Planner helps you organize an entire week of pills or vitamins. See-through plastic makes it easy to see whether medication or vitamins have been taken. Lids are easy to open and marked with the weekday. EzyDose.com. Made in China. 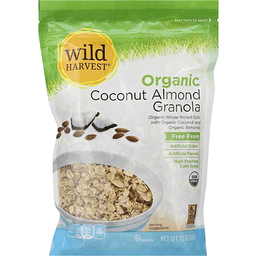 Organic whole rolled oats with organic coconut and organic almonds. Free From: artificial colors; artificial flavors; high fructose corn syrup. USDA organic. 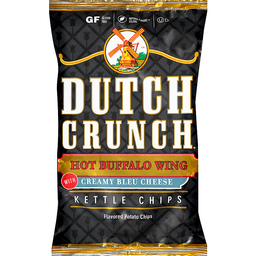 Per 1/2 Cup: 270 calories; 3 g sat fat (15% DV); 55 mg sodium (2% DV); 5 g sugars. Whole Grain: 36 g or more per serving. Eat 48 g or more of whole grains daily. WholeGrainsCouncil.org. Live free with Wild Harvest. Wild Harvest is a complete selection of products that are free from more than 100 artificial preservatives, flavors, colors, sweeteners and additional undesirable ingredients. Our products are pure and simple because they're flavored and colored by nature and created to support your family's healthy and active lifestyle. People of all ages love the taste of Wild Harvest foods. To learn more about Wild Harvest products including our full line of organic products, and for recipes, please visit www.mywildharvest.com. Supervalu Quality Guaranteed: We're committed to your satisfaction and guarantee the quality of this product. Contact us at 1-877-932-7948, or www.supervalu-ourownbrands.com. Please have package available. Certified Organic: Quality Assurance International. Certified organic by Quality Assurance International, Inc. Product of USA. 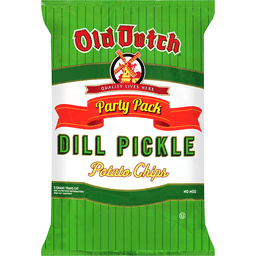 You've always known that "Quality Lives Here" is a way of life at Old Dutch. It's a given that we love our hometown quality communities and are always proud to support the many activities and events that are important to our amazing customers. But our commitment to quality really begins and ends with the preparation methods and ingredients we use to ensure that when we say Quality Lives Here we're referring to what's inside each and every one of our great tasting products. That's why we take this opportunity to ask... Did You Know? 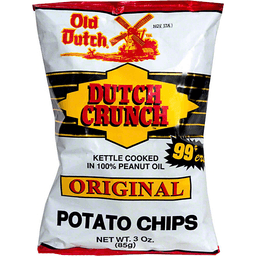 That Old Dutch® Dutch Crunch Kettle Cooked Potato Chips are... • Always gluten free. • Always made with natural flavors and colors. • Always trans fat free. • Always kosher. • Always cooked one small batch at a time. • And of course always made for great taste. Now you know why we always say... Quality Lives Here! No calories. Measures cup-for-cup like sugar. 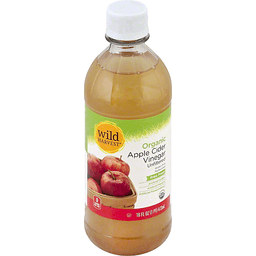 Per 1 Tsp: 0 calories; 0 g sat fat (0% DV); 0 mg sodium (0% DV); 0 g sugars. Great products at a price you'll love - that's Essential Everyday. Our goal is to provide the products your family wants, at a substantial savings versus comparable brands. We're so confident that you'll love Essential Everyday, we stand behind our products with a 100% satisfaction guarantee. 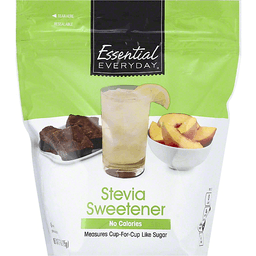 Essential Everyday Stevia Sweetener is an ideal sweetener to reduce or replace the sugar and calories in foods and beverages while maintaining great taste. For additional recipes, visit www.essentialeveryday.com. Stevia Sweetener Conversion Chart: 1 Teaspoon Stevia Sweetener: 1 teaspoon sugar amount; 1 Tablespoon Stevia Sweetener: 1 tablespoon sugar amount; 1/4 Cup Stevia Sweetener: 1/4 cup (50 g) sugar amount; 1/2 Cup Stevia Sweetener: 1/2 cup (100 g) sugar amount; 1 Cup Stevia Sweetener: 1 cup (200 g) sugar amount. Diabetics: This product may be useful in your diet on the advice of a physician. Please consult your physician about diet control and carbohydrate intake. Essential Everyday Stevia Sweetener measures cup for cup like sugar. This sweetener can be used as a replacement for sugar in your favorite hot and cold beverages, breakfast foods and for cooking and baking your favorite desserts. Real savings. Highest quality. Every day. If you're not completely satisfied with this product, please contact us at www.essentialeveryday.com or 1-877-932-7948.